Whilst age has proved a major obstacle to success at the Cheltenham Festival, the same cannot be said when equine pensioners line up for the Grand National. Indeed, it’s often best when punting on the world’s greatest steeplechase, to side with an old warrior rather than an upwardly mobile youngster. It shouldn’t come as that much of a surprise that a fair level of experience counts for plenty when faced with 30 fences over a marathon four-and-a-half-mile trip. One For Arthur was just an eight-year-old when landing the major prize 12 months ago, though he’d had plenty of practice, with just shy of a dozen runs over the larger obstacles. Back in third that day was the 11-year-old Saint Are, and in fifth Gas Line Boy, also in his 11th year. That pair were 25/1 and 50/1 respectively. The renewals of 2012, 2013 and 2014 all went to horses aged 11. The classiest of those was Neptune Collonges, who famously carried 11-6 when getting his nose in front just in time to defeat Sunnyhillboy. He was sent off a relatively unconsidered 33/1 shot. Four of the first five home in 2013 were aged 11 or 12, with Auroras Encore coming out on top at a stonking 66/1. And in 2014 Pineau De Re won the world’s most famous race at an attractive each-way price of 25/1. Since the 11-year-old L’Escargot defeated Red Rum in the national of 1975 (carried 11-3), there has been a further 15 Aintree heroes aged 11 and 12. Rummy himself famously returned in 1977 to land his third Grand National at the grand old age of 12. He managed to haul 11-8 to victory on that occasion. Of those successful pensioners from 1975 onwards, only L’Escargot, Red Rum and Neptune Collonges managed to carry more than 11 stone to victory. Away from this classy winning trio, there’s been other elderly headline makers. Aldaniti provided one of the great national stories when winning the famous race in 1981. Third in the Cheltenham Gold Cup of 1979, he’d then recovered from serious injury before arriving at the start at Aintree. His jockey, Bob Champion, had himself overcome adversity in battling against testicular cancer on the road to this incredible success. Such was the nature of the victory, that the tale was told on the ‘silver screen’, with John Hurt taking the lead role in ‘Champions’. In 1990 Kim Bailey’s Mr Frisk, at the age of 11, raced to victory in a record time of eight minutes and 47 seconds. The 12-year-old Royal Athlete became trainer Jenny Pitman’s second success in the race in 1995, and in 2004 Amberleigh House was also 12 when capturing the prestigious prize for Red Rum’s legendary trainer Ginger McCain. And there’s plenty of contenders that will be hoping to extend that impressive record for the older generation a week on Saturday. Gas Line Boy returns for another crack following his fifth place finish a year ago. Now 12, he is notoriously good in the mud, and his trainer, Ian Williams, will be one of the few handlers hoping that this winter’s miserable weather holds out a little longer. He was defeated by 11-year-old Buywise last time out at Sandown. The pair renew rivalry at Aintree, with the Evan Williams-trained contender looking to improve on a midfield finish in 2016. His jumping will need to hold up, but at 50/1 he’s an interesting proposition. Milansbar is another that could outperform his odds of 50/1. An impressive winner of the Betfred Classic in January, he recently finished runner-up in the Midlands National at Uttoxeter. He’s set to be ridden by one of this season’s young stars, Bryony Frost. 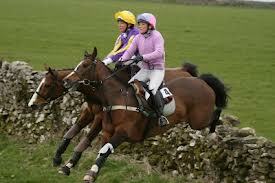 She was onboard the 11-year-old at Warwick and is renowned for getting a horse into a lovely rhythm over fences. Then there’s a pair of ever youthful 13-year-olds, in Raz De Maree and Bless The Wings. The former has already landed the Welsh National this season, whilst the latter was runner-up in the Irish Grand National 12 months ago. Both are big odds, yet more than capable off their current handicap mark, of putting in an impressive performance. Saint Are has been placed in two of the last three nationals and returns at the age of 12 for another crack. And should ground conditions improve, Noel Meade’s 11-year-old Road To Riches (if making the cut) could prove an interesting outsider having plummeted down the handicap in recent times. One or two of the oldies are sure to be in the mix, with Gas Line Boy currently the shortest priced at 33s. There’s certainly value to be had, though as ever, finding the right one will again prove the greatest challenge of all. Usually, when news comes through of a retirement or more distressingly and increasingly at this stage of my life, a death of someone you’ve known for a long time, one always takes stock, writes Tony Stafford. When the retiree, as in last weekend’s case, is Christiane Head-Maarek, or Criquette Head as she has been universally known, the information is greeted almost with disbelief. After all, her father Alec Head, is alive and still occasionally interviewed at race meetings in France, at the age of 94. Criquette, like Prince Charles, was born in 1948, so has arrived at the age of 70 after 41 years as a trainer. Just as Margaret Thatcher’s time as Prime Minister (1979-90) almost exactly mirrored my own spell as Racing Editor at the Daily Telegraph – the remaining 20 years there were less worthily spent! – so Criquette’s honourable span as only the second female trainer in France after Miriam Bollack has been an ever-constant for me. When you travel to some of Europe’s best races it is inevitable that the top people cross your horizon and Criquette was always happy to pass a word or two. I remember especially one day at Maisons-Laffitte when I was over to see a Raymond Tooth runner in a minor race. I bumped into her as she was having a quiet coffee in the owners’ room and we talked for at least ten minutes before the race. Whether at the track or the major sales, there would always be a smile and a few words from this unique woman. Treve was still to come at that stage but almost two generations earlier, Three Troikas had already been bought by her at Tattersalls sales in 1977 in her bloodstock agent period which immediately preceded her taking out a licence. During her first full season as a trainer, Three Troikas was to give Criquette her first Arc success. Ma Biche and Ravinella were two of the many other brilliant fillies that distinguished her career and I can never forget the amazing speed Ravinella showed both when winning the Cheveley Park as a juvenile and then the 1,000 Guineas the following year. The Heads were one of the English-born training families that made such a major impression in French racing in the late 19th and early 20th centuries. Alec Head’s father William returned to France after serving in the British Army during the Second World War, winning the first of his two Arcs with Le Paillon in 1947. 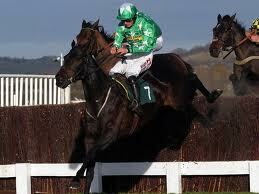 Alec had partnered the horse earlier in the year into second place in the Champion Hurdle at Cheltenham. Younger brother Freddy was in the saddle in 1966 when William’s second Arc came along with Bon Mot and now, 20 years into his own training career – distinguished with three consecutive Breeders’ Cup Mile wins with Goldikova (2008-10) - he is being assisted by the fourth generation, son Christopher in his stables in Chantilly. Criquette’s only daughter, Patricia, also has her own Arc link, as she is married to trainer Carlos Laffon-Parias, who won the 2012 Arc with Solemia. Now Criquette, who will have her final runner on February 1, will concentrate on helping to run the family’s famed Haras de Quesnay, taken over by Alec from William more than 60 years ago, and still a flourishing nursery of top thoroughbreds. Another trainer who has held a licence for almost 40 years and like Criquette Head has tasted the highs both on the Flat and more spectacularly in National Hunt, is approaching his 65th birthday this year on an upward curve. If I were to set a question as to which trainer (using my admittedly incomplete records) had 55 jump wins in 1992-3, then successively 86, 72, 66, 77, 48, 40, 32, then only 9 in 2000-0, would you get it? After three campaigns with 36, 22 and 24, he then had only 6, 6, 9 and a lowest-ever 3 in 2007-8. Happily the last decade has seen a steady revival with 19, 19, 38, 32, 27, 35, 61, 43, 43, and after two excellent wins on Saturday, 34 and counting this term. That trainer is Kim Bailey, who sat at the table behind my Ascot lunch group on Saturday and I was delighted to congratulate him on First Flow’s impressive 10-length win in the Rossington Main Hurdle at Haydock, his third victory in four starts this term. First Flow had all the hallmarks of a Bailey win, bold jumping and stamina, accompanied by the compulsory sheepskin noseband. I wondered why he was at Ascot rather than Haydock, but that answer came quickly enough when Vinndication vindicated the locational decision by maintaining a 100% record with a dour display in Ascot’s finale. It is easy to forget merit in trainers amidst the hunger for new talent. It’s more about fashion these days, but when you think back to Mr Frisk, winning the Grand National and then making all in the Whitbread under Marcus Armytage; and Alderbrook and Master Oats in Champion Hurdle and Gold Cup winning mode, you have to wonder how those single-figure seasons ever happened. I loved Alderbrook, but probably not as much as Paul Eddery, who had the luck to partner him in his first five Flat starts when he was moved from Sally Hall’s stable to Bailey. There he won twice in seven Flat races, but ended with a modest run in a novice hurdle. Starting off on 69 for Kim, he won nine more of 17 Flat races, but two of his defeats, both Group-race second places came when he was moved for a brief spell with Julie Cecil. Either side of that he had five runs over hurdles for Bailey, winning the Kingwell first time out and then the Champion by five lengths from the high-class Large Action. After that spring campaign on the Flat, he returned to Bailey for the following season, winning at Kempton and finishing second to Collier Bay in the Champion before routing his Scottish Champion Hurdle field, giving lumps of weight all round. Alderbrook retired to stud, and among many decent staying jumpers, bred the high-class and tough Olly Magern before dying in 2007. His passing coincided with his trainer’s lowest ebb, but with such as First Flow and Vinndication to represent him now, the future looks bright indeed for this talented man. First Flow runs in the colours of Nearly Caught’s owner, Tony Solomons, former boss of Singer & Friedlander, while other major owners in the Bailey yard include the Rooneys, Paul and Clare. If you approach Cheltenham on the A40 from Oxford, you will see Kim’s sprucely-manicured fences off to the left around six miles from the track. Given the upward mobility and the 70-odd horses he has to represent him nowadays, the optimistic sign which points to them is highly appropriate. Trainer Kim Bailey's record here at Southwell stands at 13 wins from 48 (27.1 % SR) for 34pts (70.8% ROI) since the start of 2012, with hurdlers winning 8 of 32 (25%) for 27.2pts at an ROI of 84.9%. Gaelic Myth's run today will be the 4000th by an offspring of the prolific, but sadly recently departed Midnight Legend, one of my favourite (as most of you know!) sires ever. And with 550 wins under their belts so far at a strike rate of 13.75% recording profits of 518.9pts at an ROI of 14.5%, it's pretty obvious why I like backing them! To make such profit from backing so many horses blindly is tremendous and it does thorw up hundreds of profitable angles to take and I've covered many of them in the near 4 years of SotD so far, so I'll try not to bore you too much and keep it simple! Gaelic Myth was a winner when last seen, although that was at Ludlow back in May, some 148 days ago, but he takes a slight drop in trip and also drops down a class to run here, so if race-ready, this should well be within his capabilities. This is backed up by the fact that Kim Bailey's handicap hurdlers dropping down a class are 12/73 (16.4% SR) for 26.4pts (+36.1% ROI) at odds of Evens to 12/1 since 2009. AND...4-6 yr olds racing over 2m4f to 3m1f at Class 4/5 are 7/21 (33.3% SR) for 50.1pts (+238.9% ROI) with a record of 4/9 (44.4%) for 21.9pts (+243.2%) since the start of 2014. ...click here for the betting on the 4.10 Southwell. 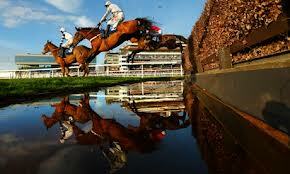 Though the Cheltenham Festival is fast approaching, it was the Grand National that came under focus this weekend. Several contenders for Aintree’s feature were put through their paces and though a few failed to shine, one in particular enhanced his credentials as a leading challenger. Testing conditions certainly had an adverse effect on the field size for the Grimthorpe Chase at Doncaster, but they caused little inconvenience to Kim Bailey’s runaway winner The Last Samuri. Always prominent, he stormed clear in the latter stages comfortably beating The Druids Nephew by 10 lengths. He jumped soundly throughout and appeared to have plenty left in the tank at the finish. Bailey famously won the National in 1990 with Mr Frisk, though The Last Samuri was previously trained by Donald McCain whose family are of course synonymous with winning Aintree’s illustrious event. Many Clouds remains at the head of the National betting though his prep-run didn’t go as planned. The meeting at Kelso was rained off, and there’s now every chance that last year’s Aintree winner will head to Cheltenham for another crack at the Gold Cup. A hard race at Cheltenham would be far from ideal, but I would expect that once his chances of winning or being placed were over, Leighton Aspell would merely school him home. Many Clouds is as big as 33s for the Gold Cup, and that price appears a fair reflection of his chances. Whilst The Last Samuri was scooting home at Doncaster, Jonjo’s Grand National hope Shutthefrontdoor was taken off his feet at Newbury, and was eventually pulled in the Greatwood Gold Cup won by Sametegal. The choice of prep-run was perhaps a little surprising, with the 2m4f trip proving inadequate for a horse that has been running over three miles plus for the last two seasons. Passing the post with a circuit to go Barry Geraghty was niggling at the horse as he drifted to the back of the field. Try as he might to get the horse attached to the rear of the pack, his efforts failed, and a suitable workout failed to materialise. The National remains the plan, though confidence of improving on last year’s fifth place finish has taken a serious dent. Goonyella has been allotted 10st 8lbs, and the Midlands National winner could prove a huge player in Aintree’s showpiece. Now an 11-year-old, the former Gold Cup winner would be another exciting addition to an already powerful looking line-up. and 4/20 (20% SR) for 26.3pts (+131.7% ROI) in handicap hurdles. and now he drops back from Listed class to Class 2 today aiming to improve upon Kim Bailey's decent record with handicap hurdlers dropping down a grade, which has seen 7 winners from the 38 (18.4% SR) priced at 9/2 to 16/1, generating profits of 26.7pts (+70.4% ROI). And in addition to all the above Un Ace is Kim's only runner at this track today and since 2009, Kim's sole representatives at a track have won 123 from 698 (17.6% ROI) races for 127.5pts at an ROI of 18.3% with those running here at Huntingdon winning 8 of 27 (29.6% SR) for 13pts (+48.1% ROI). And finally (! ), not only is Un Ace Kim's only runner here at Huntingdon, he's also the yard's only runner of the day and such horses are 97/484 (20% SR) for 171.1pts (+35.4% ROI) with those ridden by David Bass winning 11 of 40 (27.5% SR) for 18.7pts (+46.8% ROI). The main event at Kempton on Saturday is the William Hill Lanzarote Hurdle. The listed handicap is run over 2m 5f and was won last year in sensational fashion by Nick Williams’ talented gelding Tea For Two. In what appeared to be a competitive renewal, the then six-year-old romped to a 10 length victory. A year earlier the race went to Paul Nicholls with one of his most talented inmates Saphir Du Rheu. Nicholls has taken two of the last seven renewals, though Nick Williams is very much the most successful trainer in recent times with three wins from the last five. However, he won’t be adding to that tally on Saturday as he has no entries in this year's event. Nicholls on the other hand is likely to be represented by the well-fancied Ibis Du Rheu. The five-year-old ran a promising second at the Hennessy meeting in November, just failing to overhaul Royal Guardsman over a slightly shorter trip. Chances are that the step up in distance will suit, though he has to improve plenty to take this far more competitive affair. Harry Fry and Philip Hobbs shared honours in the last major handicap when Jolly’s Cracked It and Sternrubin hit the line together in The Ladbroke at Ascot. Sadly Fry’s imposing gelding will miss the remainder of the season due to a tendon injury. Nevertheless, the Dorset trainer will be hopeful that he can add another prestigious handicap with Unowhatimeanharry currently favourite for Saturday’s showpiece. He won an Albert Bartlett trial at Cheltenham in December, though that was over three miles. He had been successful prior to that at two and half, and heavy ground holds no fears. The horse is undefeated since joining Fry in the summer. Yala Enki is another that should enjoy ground conditions. Venetia Williams is often the ‘go to’ trainer when the mud is flying, and this French import has already impressed this winter when cruising to victory at Exeter in November. He was then a little too keen at Haydock in the Fixed Brush Handicap Hurdle, though he battled on for fifth having looked likely to fade out of sight turning for home. He has a lovely race weight, and looks a serious player. This race often goes to unexposed types rather than seasoned handicappers, and Nicky Henderson’s Bivouac certainly fits that description. The five-year-old has only run seven times over hurdles and has a far superior record running right-handed. He won at the track last December and was successful at Huntingdon last time out when having the fast improving Lil Rockerfeller in behind. The ground should be ideal, and it’s no surprise to see him towards the head of the betting. Dr Richard Newland is always to be respected in these competitive handicaps and he has an interesting contender in the lightly raced Westren Warrior. He’s another who will enjoy the testing conditions; having won an ordinary novice hurdle by miles last time at Lingfield in heavy ground. He’d chased home recent Cheltenham winner Singlefarmpayment prior to that, and clearly that form now looks pretty strong. Gary Moore can do no wrong this winter, and he has recent course and distance winner Baron Alco entered here. He looks to be improving at a rate of knots and has a tasty pedigree being a son of Dom Alco out of a Network mare. He’ll need to step up again, but looks to have the potential to do exactly that. Finally a mention for Kim Bailey’s eight-year-old Un Ace. He’s a hugely talented horse who is back over hurdles having had a productive time over fences. Though French bred, he is probably slightly better suited by a sounder surface. However, he has a fair looking race weight and the trip is perfect. He’s run right-handed only twice before and won both times. He looks a decent each-way proposition. It’s another hugely competitive handicap to get excited about and finding the winner as ever will prove one hell of a task. I don't know what was in jockey David Bass' Christmas Punch, but he's absolutely flying after the resumption of duties. Since returning from the sport's short Christmas break he has ridden 7 winners from 13 with a 4 from 6 record over hurdles: astonishing! And to tie all the data together, those ridden by David Bass are 5/14 (35.7% SR) for 9.6pts of level stakes profit at an ROI of 68.3%. Battle Dust appears to be in fine fettle at present, finishing 121 in his last three appearances. He closed off his PTP career with a win over 3 miles on heavy ground when carrying 12 st 2lbs to a 5 lengths victory at Dungarvan in January. He was next seen as recently as six weeks ago when making his debut under Rules at Southwell, where he stayed on well and finished strongly on soft ground, but the line came too quickly for him, despite it being a 3m slog first up. The ground was worse for his only other outing, when he needed every inch of the 2m 7.5f on heavy ground at Chepstow 26 days ago to just get home and the manner of both runs suggest the extra 2 furlongs today should be right up his street. He's 1 from 1 with today's jockey and has already demonstrated a firm liking for bottomless ground. Kim's 4-6 yo hcp hurdle debutants priced at 8/1 and shorter are 8/32 (25% SR) for 29.4pts (+92% ROI), with all 8 winners coming from the 27 (29.6% SR) runners rated 90-120 with the resultant 34.4pts profit equating to some 127.6% of stakes invested. And so the drought continues. Valid Point didn't have the race run to suit last night, but still was disappointing. And, after a glut of non-runners, he was sent off as short as 6/4 and favourite, having been a 4/1 shot when nominated. One of the tools I use in my betting, and occasionally for Stat of the Day, is the 'Stat Attack' feature in horseracebase. It always has an interesting cross-section of the data for the day's runners, and today is no exception. For instance, did you know that La Estrella (3.50 Southwell) has won eleven times out of eleven at the track? Or that The Lock Master has been in the frame six from six times over today's 4.50 Southwell course and distance? In fact, The Lock Master has form figures of 322122222222 at Southwell over trips of a mile and a half or shorter. At a mile in Class 4, 5 or 6 (today is a Class 5) at Southwell, he is 312222. Placepot bankers maybe, but not quite SotD for today. The reason they haven't made the cut is that La Estrella is a prohibitive 4/11, and The Lock Master, who is much more likely to be placed than to win, is 9/2 meaning a small loss on stakes. So it is that I find myself in beautiful Worcester, virtually at least, and siding with an unconsidered - so far today anyway - beast, who may just be a wolf in sheep's clothing. Or, more correctly, a Lion On The Prowl in horse's clothing. This Kim Bailey inmate has recent form figures of 096P, which are hardly encouraging. But that the whole story does not tell. 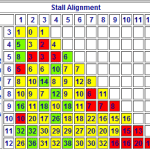 Those runs were all in high class handicap hurdles, where Lion On The Prowl last ran off a mark of 130. He had earned that mark by running consistently very well in novice hurdles and bumpers, fields where he made the frame in seven out of seven runs. Non-handicap form of 2232121 brings him under consideration in tonight's non-handicap beginners' chase. This will be his fencing debut, so a fair bit has to be taken on trust. But that's why he's a 14/1 shot. The pick of the opposition, Enfant de Lune and Top Smart, were rated 125 and 120 respectively over hurdles, a fair bit less than our SotD pick. Next in are Francesa, Indian Daudaie and Teenage Kicks. They have hurdles ratings of 110 (best form on soft), 135 (last of four on chase debut), and 119, all significantly below the mark allotted to Lion On The Prowl; or, in the case of Indian, a horse bang out of form and running as though something amiss. Am I saying the Lion will win? No. Am I saying he looks to be decent each way value in this field, given his liking for good ground and his non-handicap form? Absolutely. Click here for the latest odds on the 6.20 Worcester.